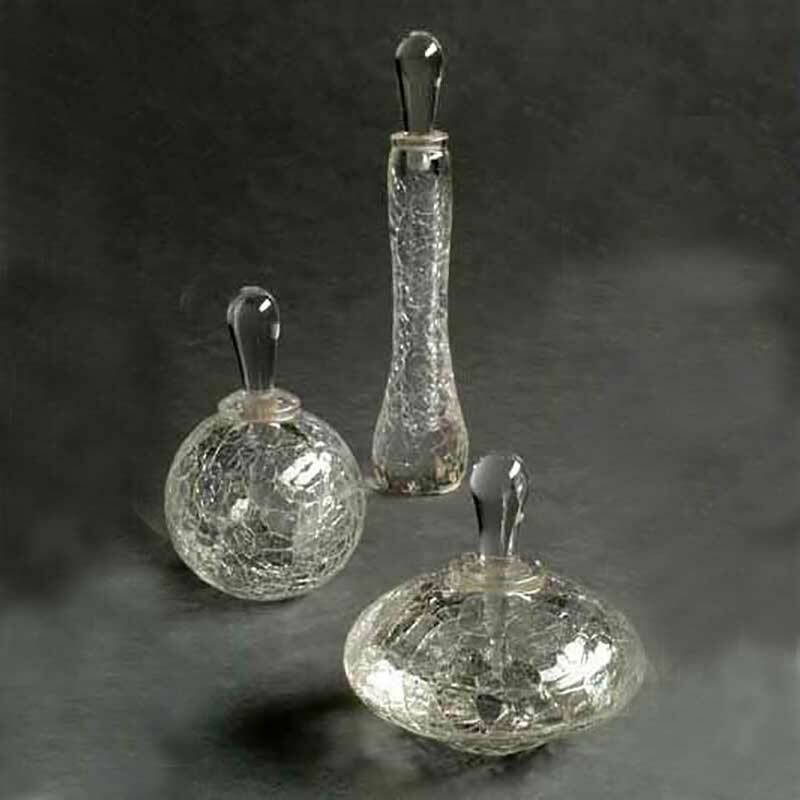 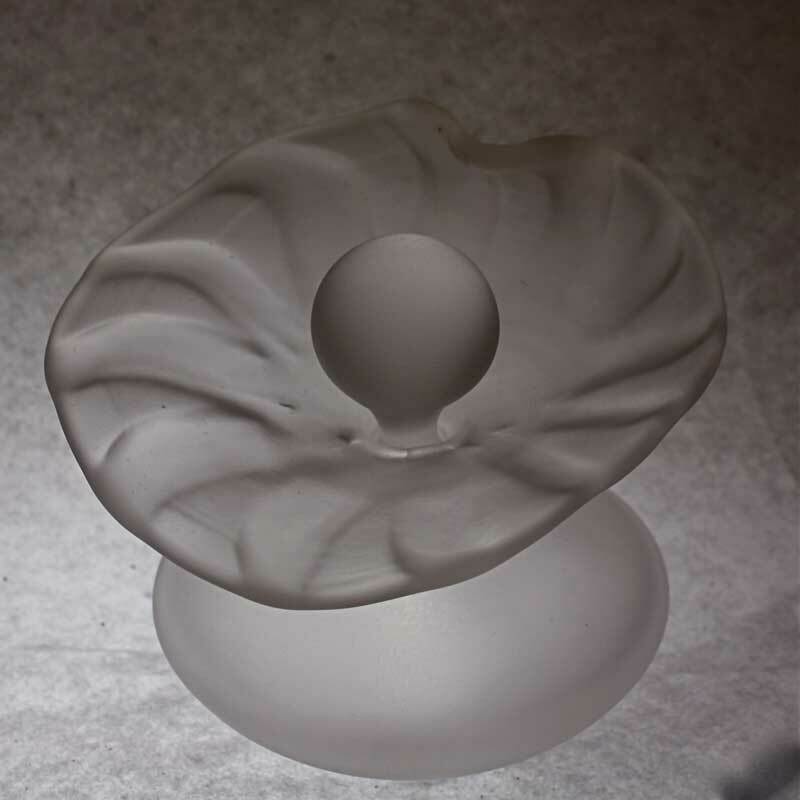 With the grace and elegance of lily pads, these perfume bottles are elegant in their simplicity. 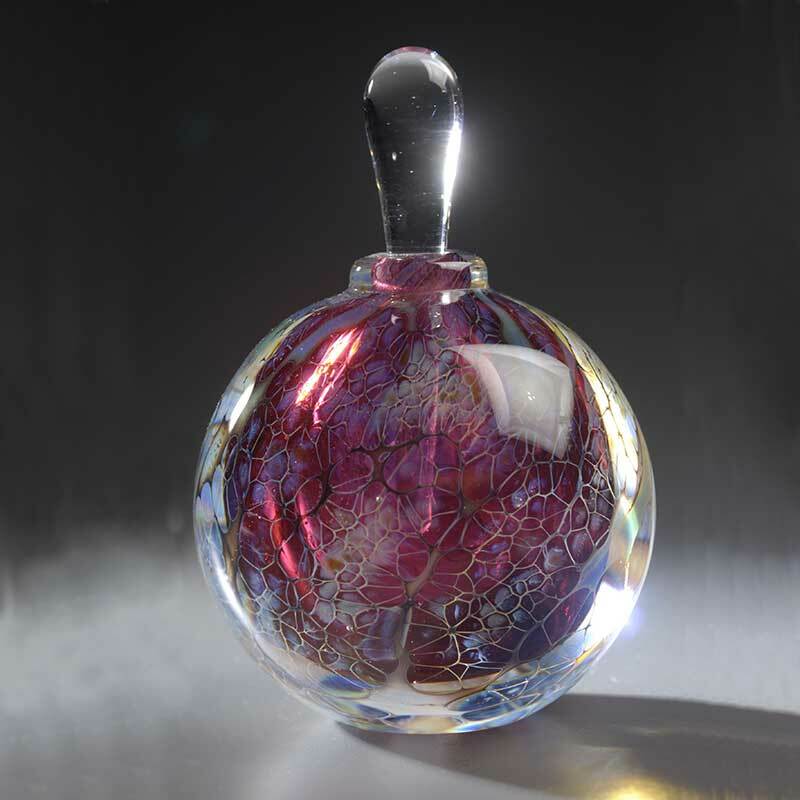 In the frosted version, the bottle and stopper are made of clear class which is etched, giving it a soft appearance that suggests movement. 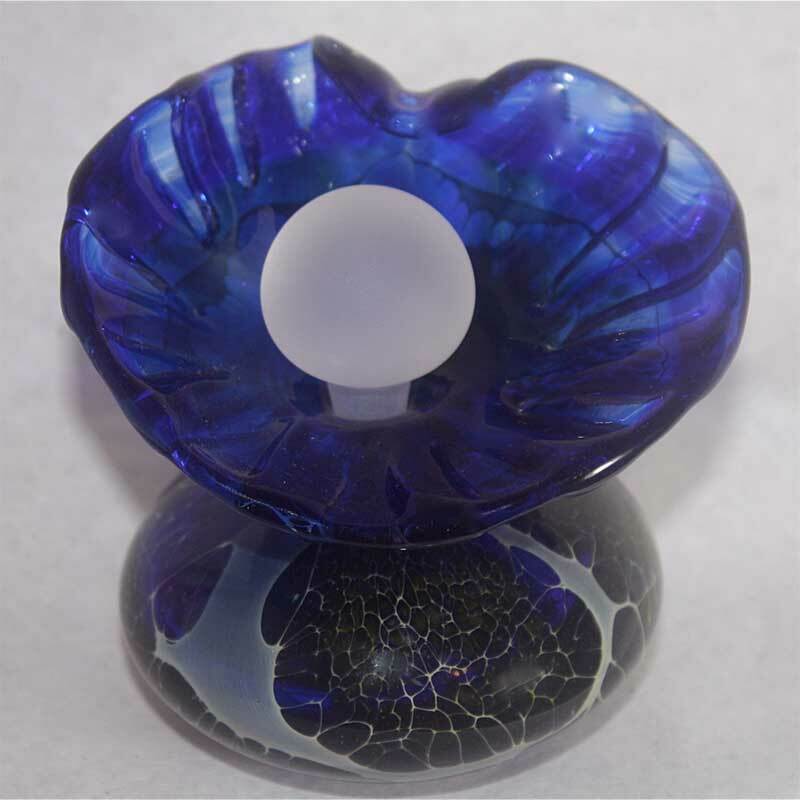 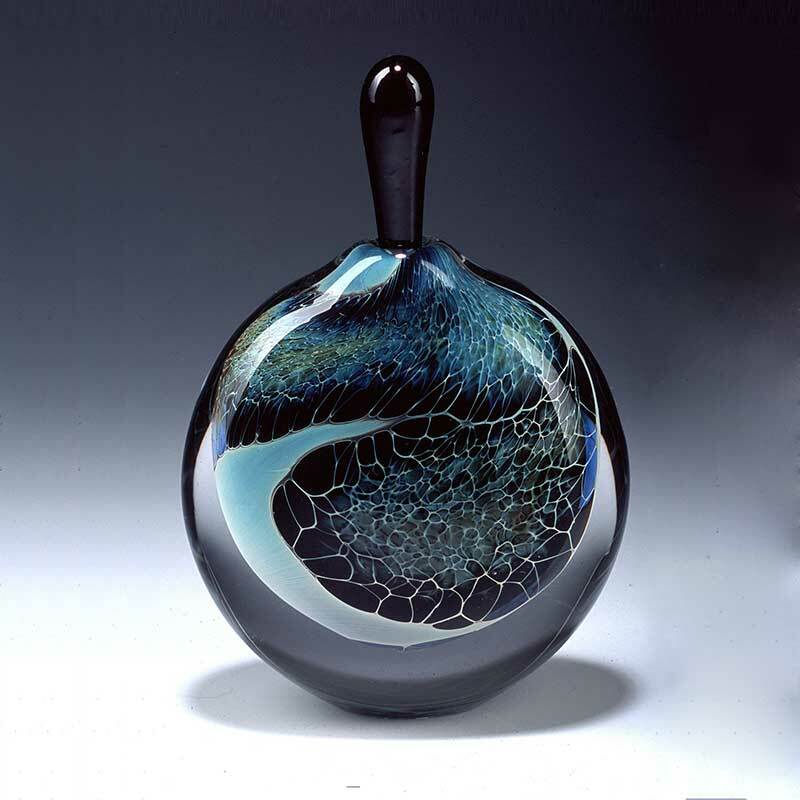 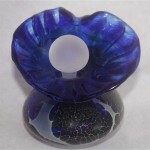 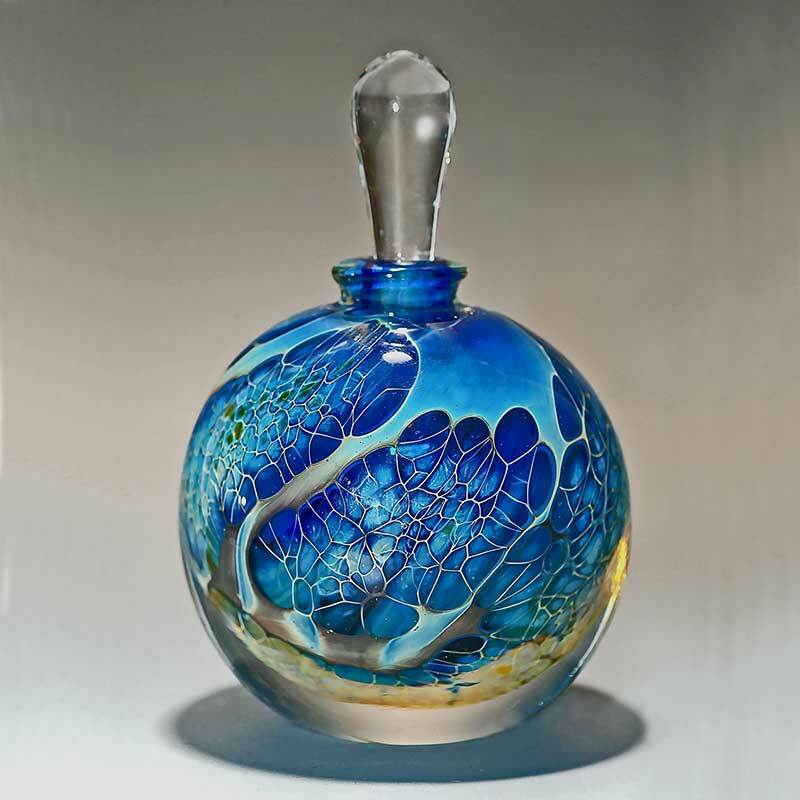 The cobalt version includes silver veil layer on the vessel, with a clear cobalt “lily pad” lip to the bottle.